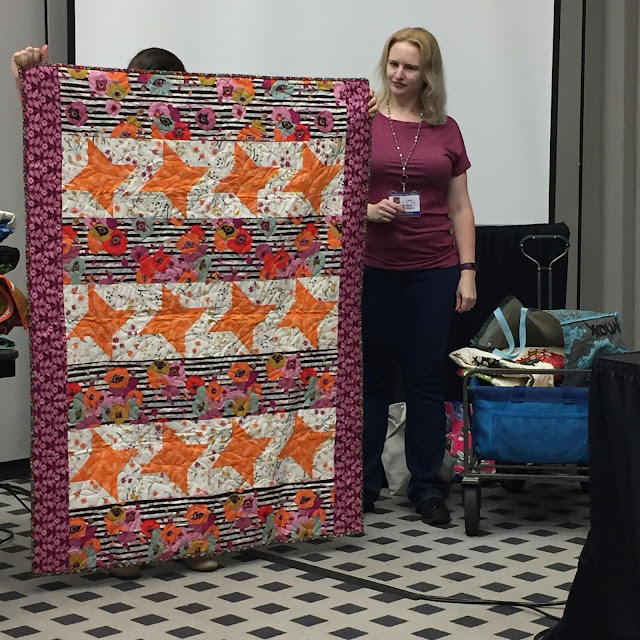 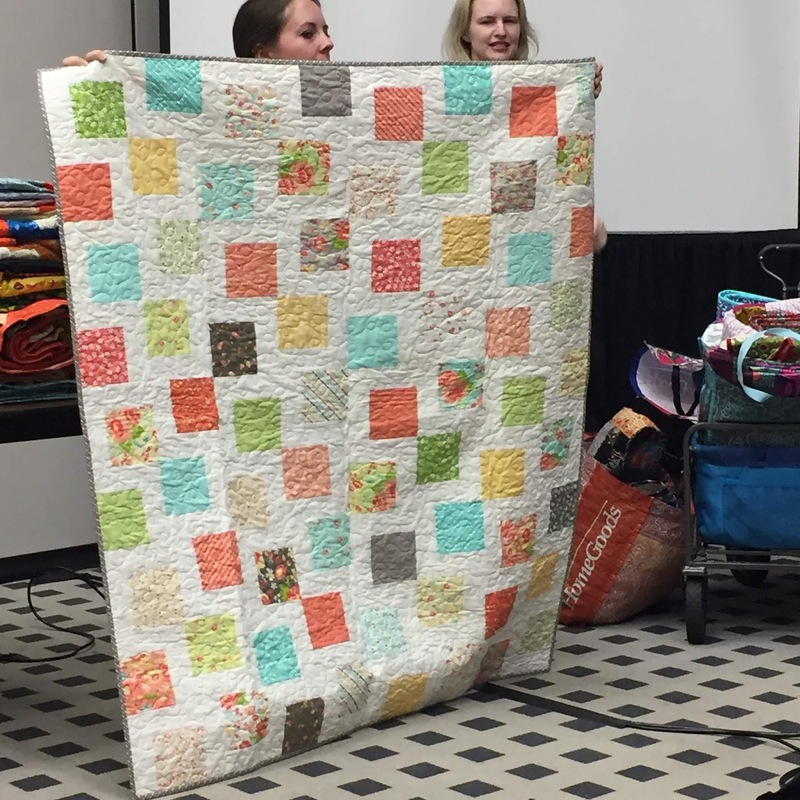 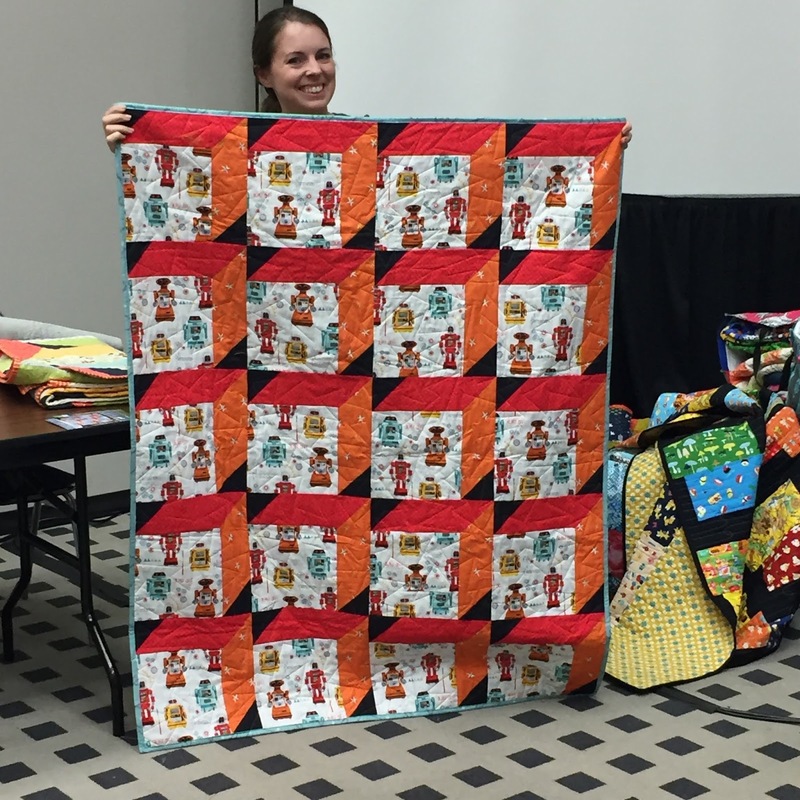 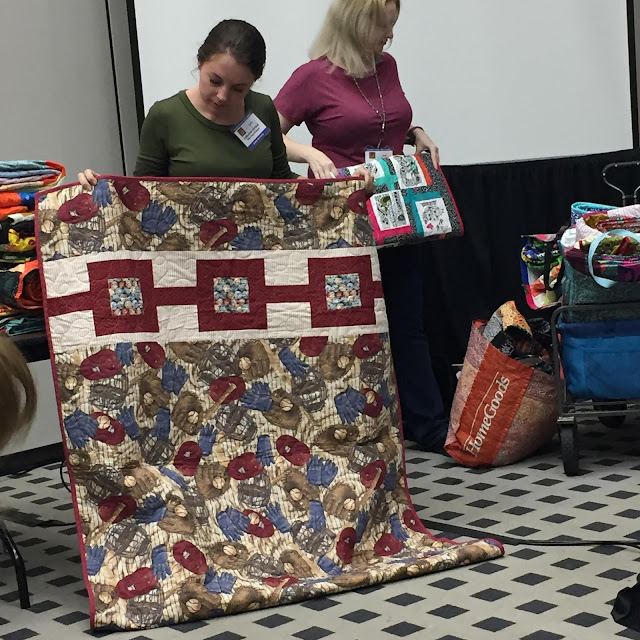 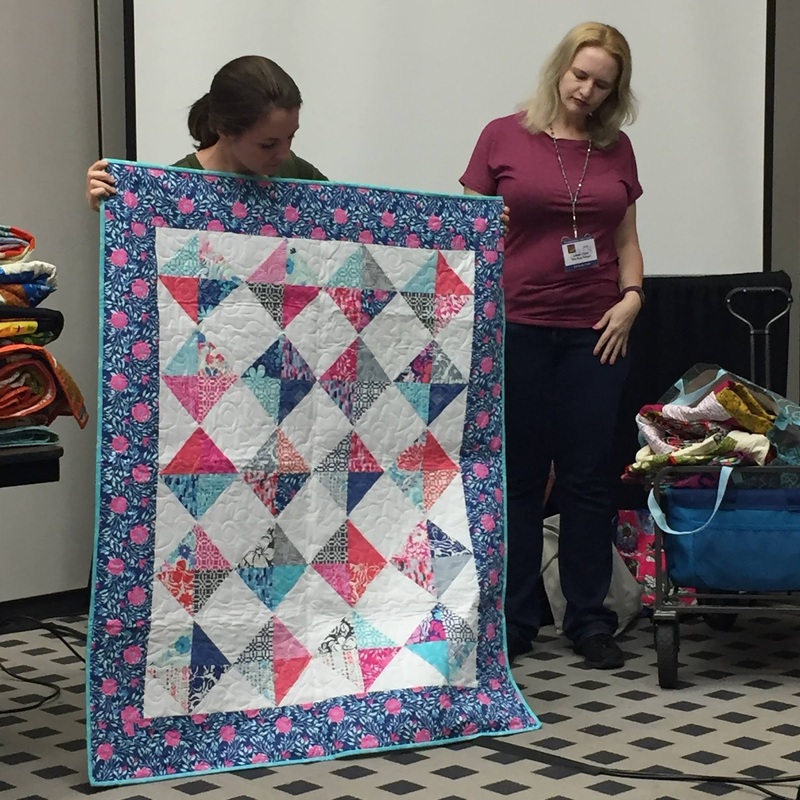 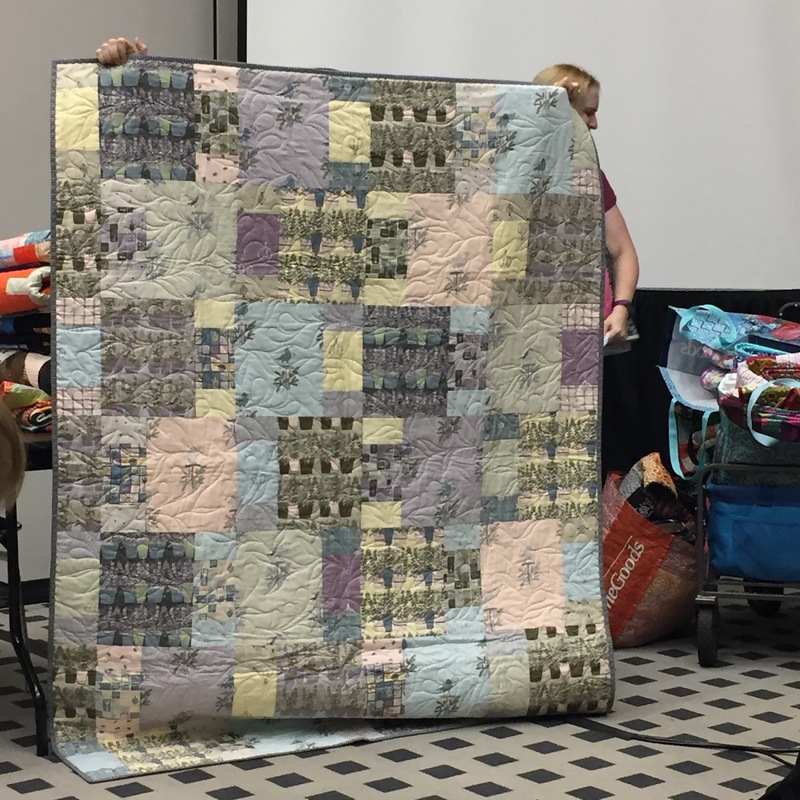 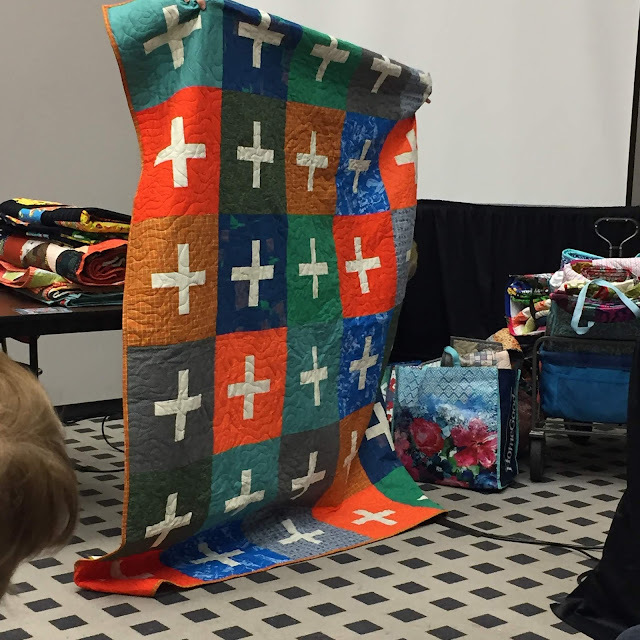 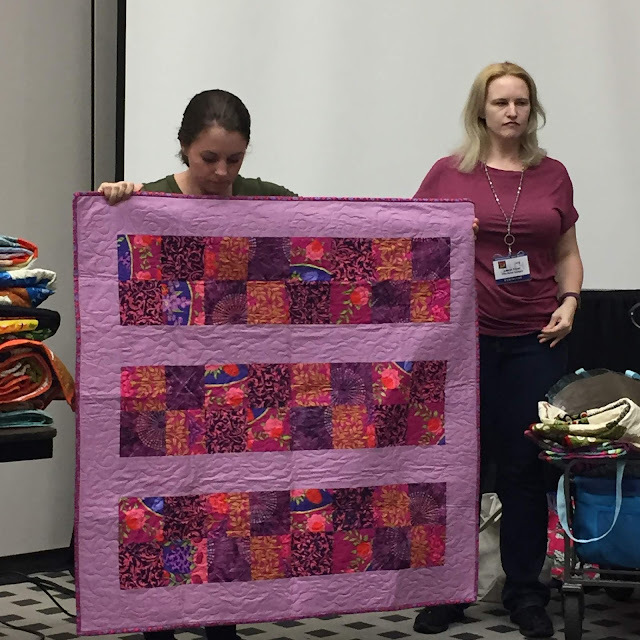 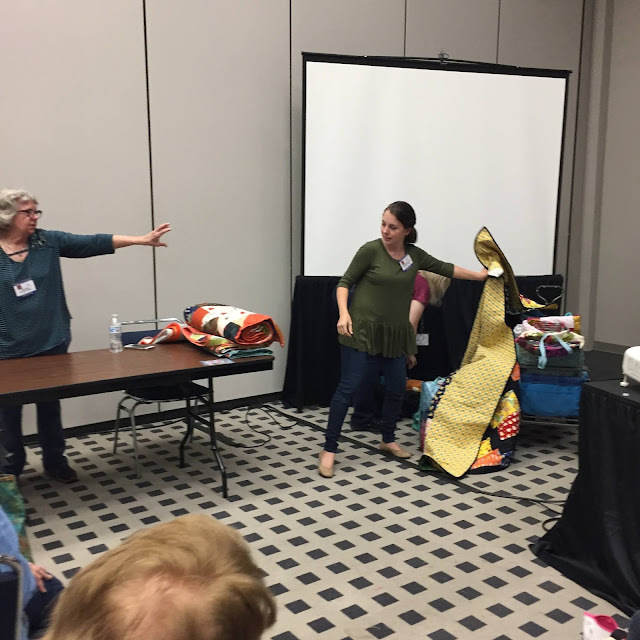 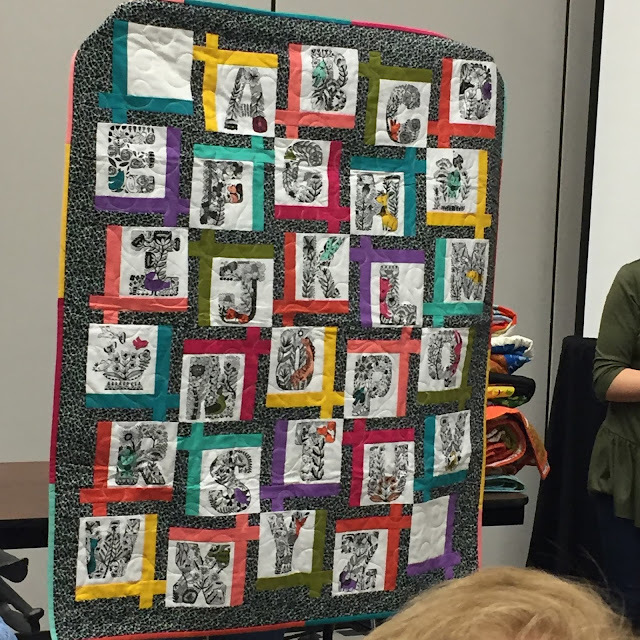 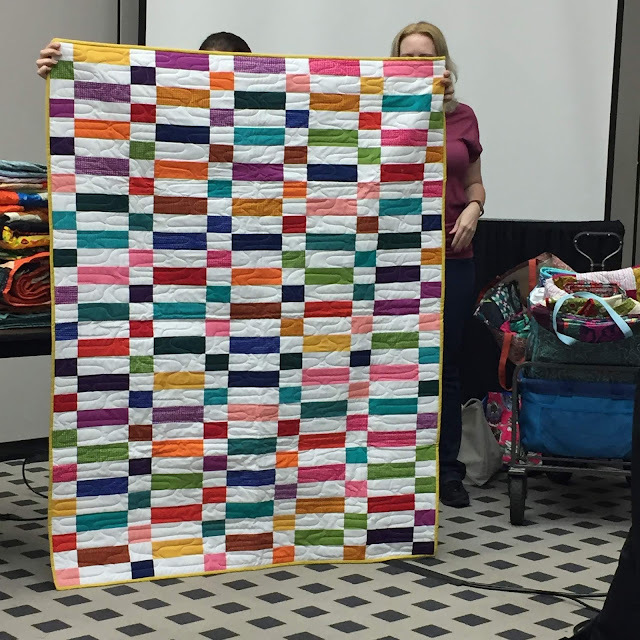 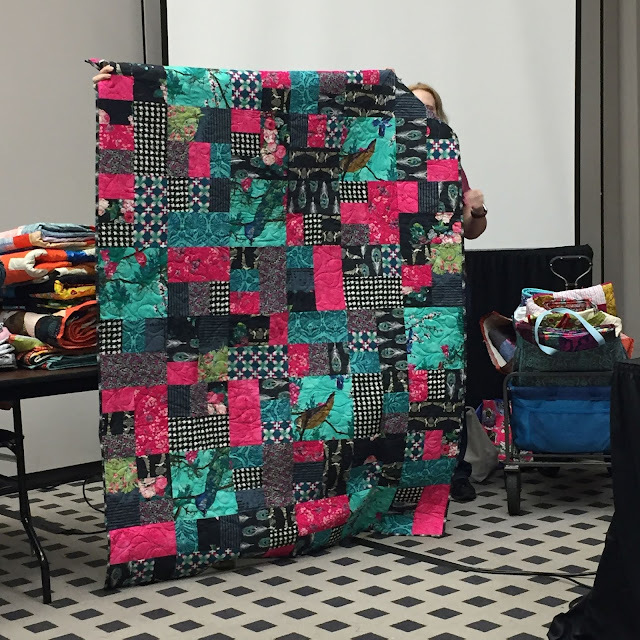 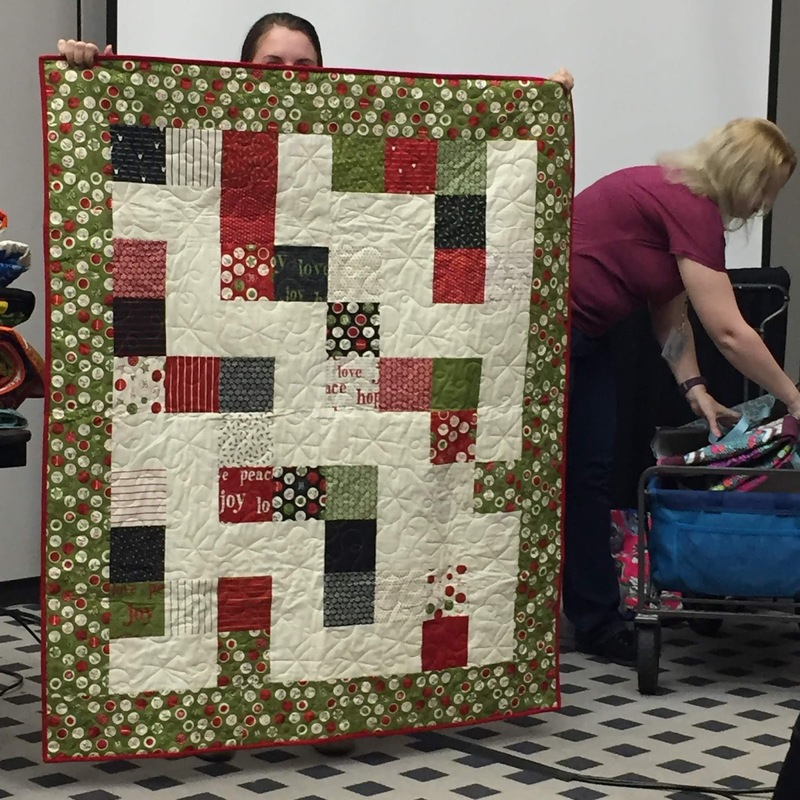 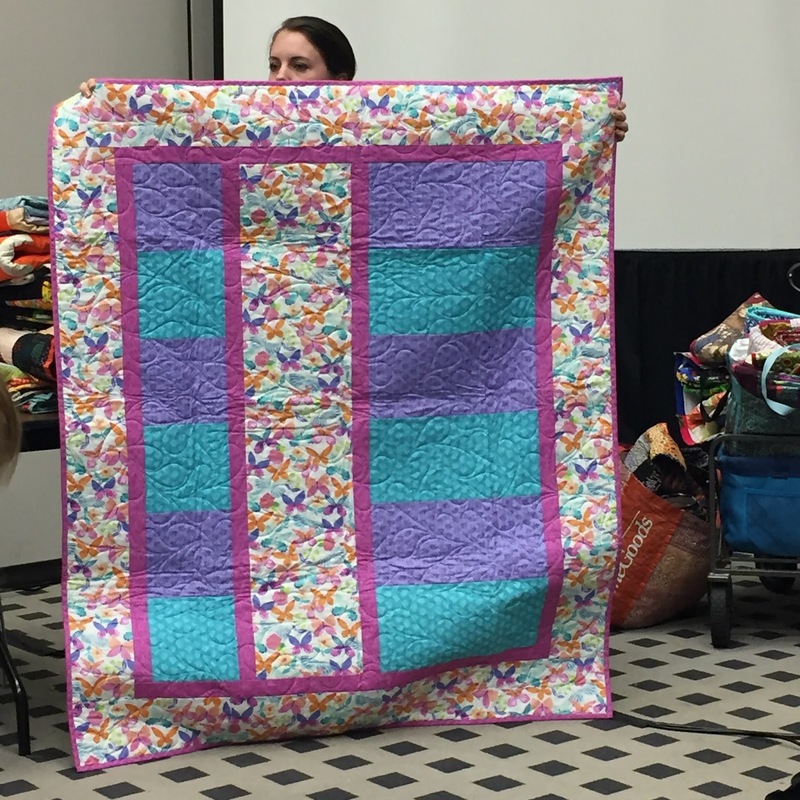 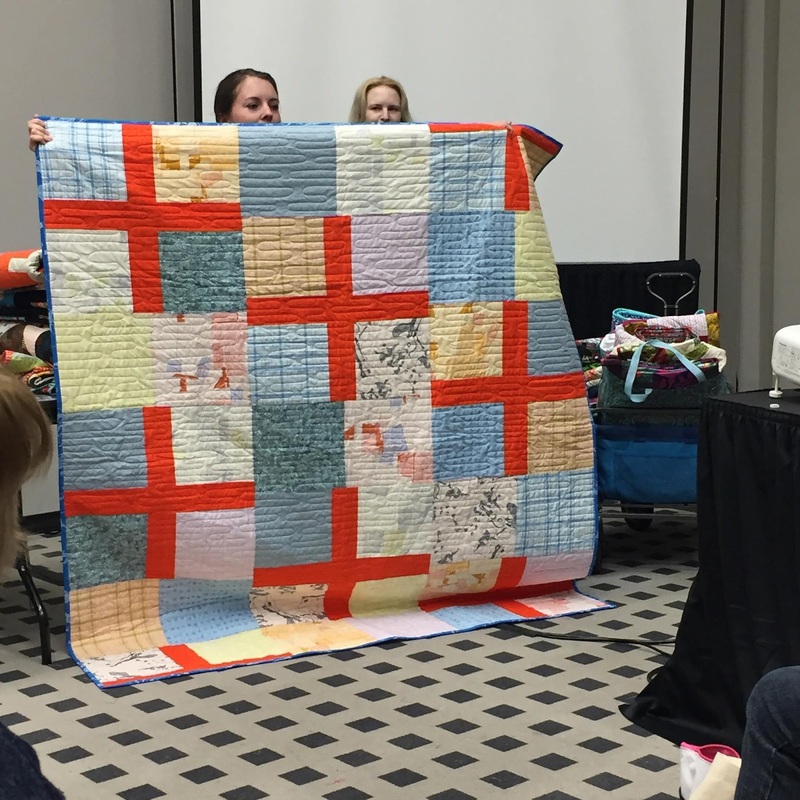 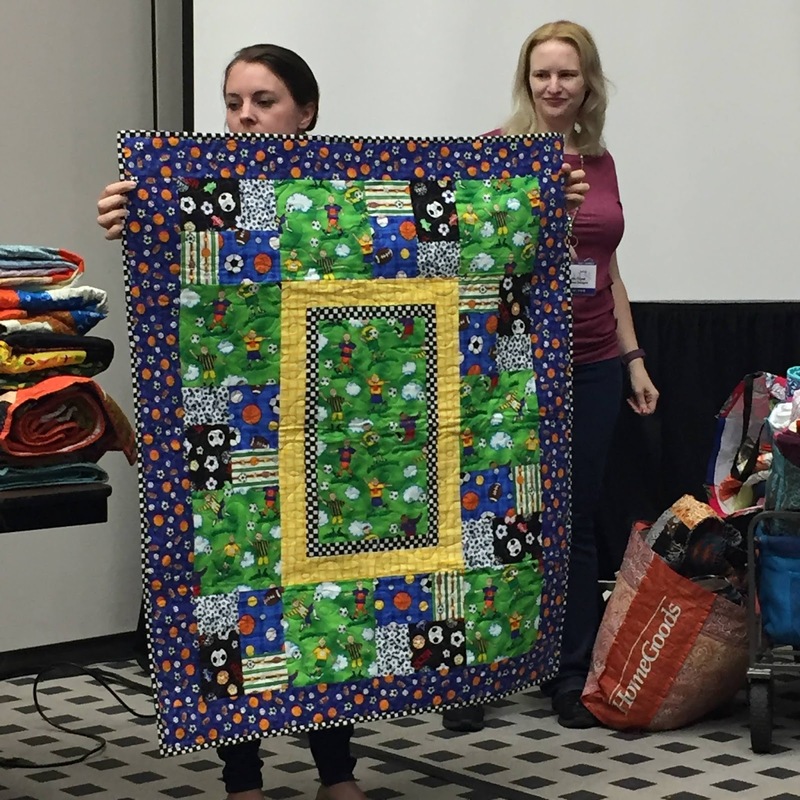 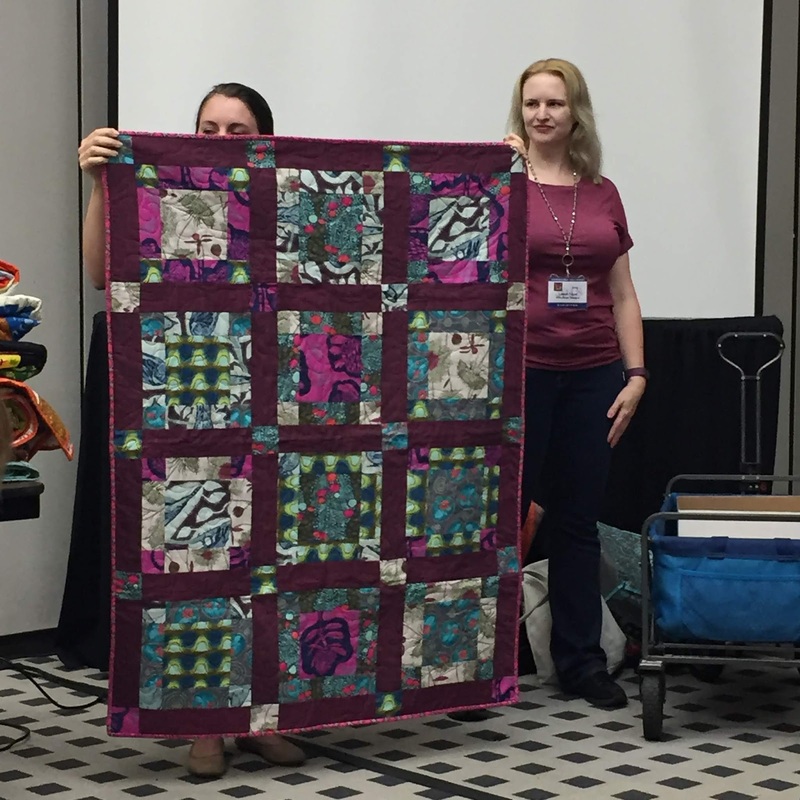 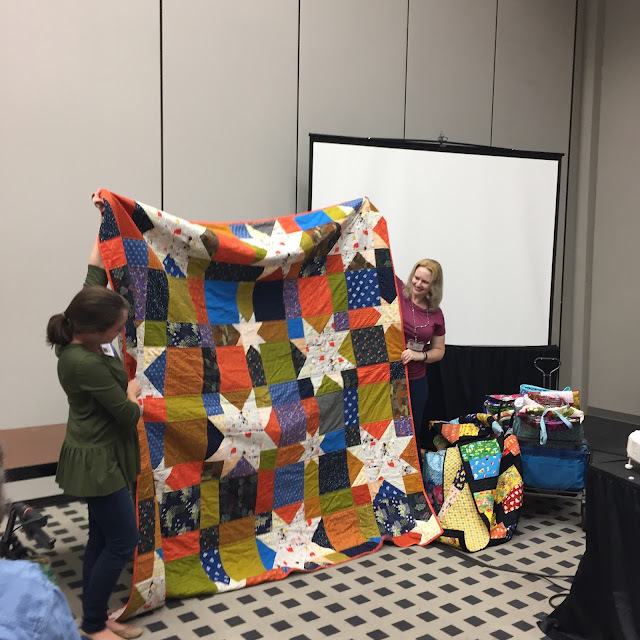 Schoolhouse occurs the day before Quilt Market, and consists of 15-30 minute presentations during which exhibitors demonstrate and showcase their latest products. Villa Rosa Designs, Pat Fryer's quilt pattern company, specializes in affordable postcard patterns that are perfect for creating quilt kits without increasing the cost substantially, or for charity groups to supply members with patterns that aren't overly complicated and come together quickly. 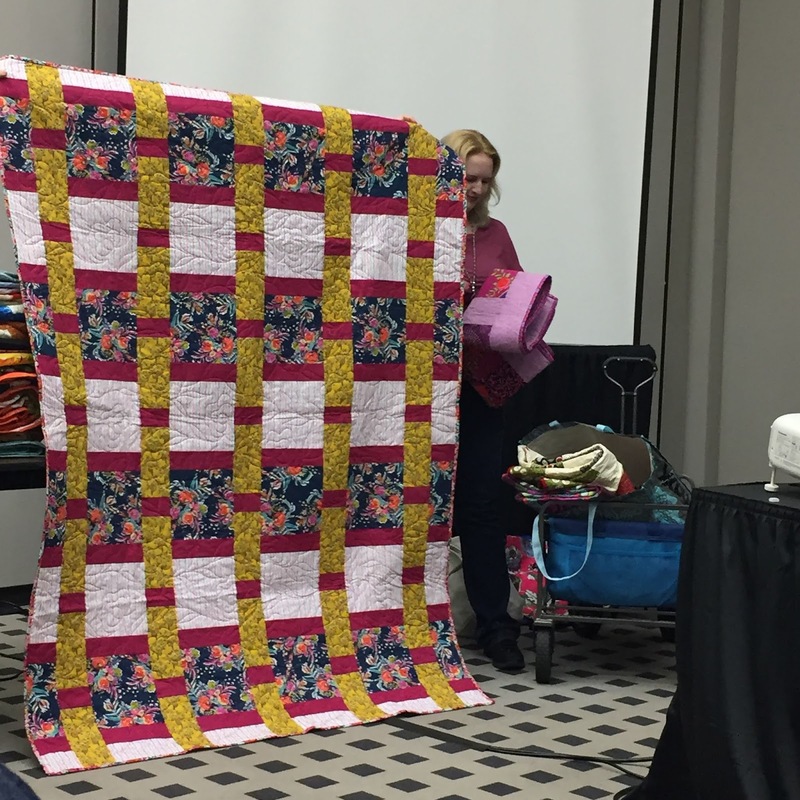 Patterns are available digitally or printed for a couple bucks. Like many quilters, Pat Fryer is a philanthropist who endeavors to gift those in need of comfort with beautiful quilts. 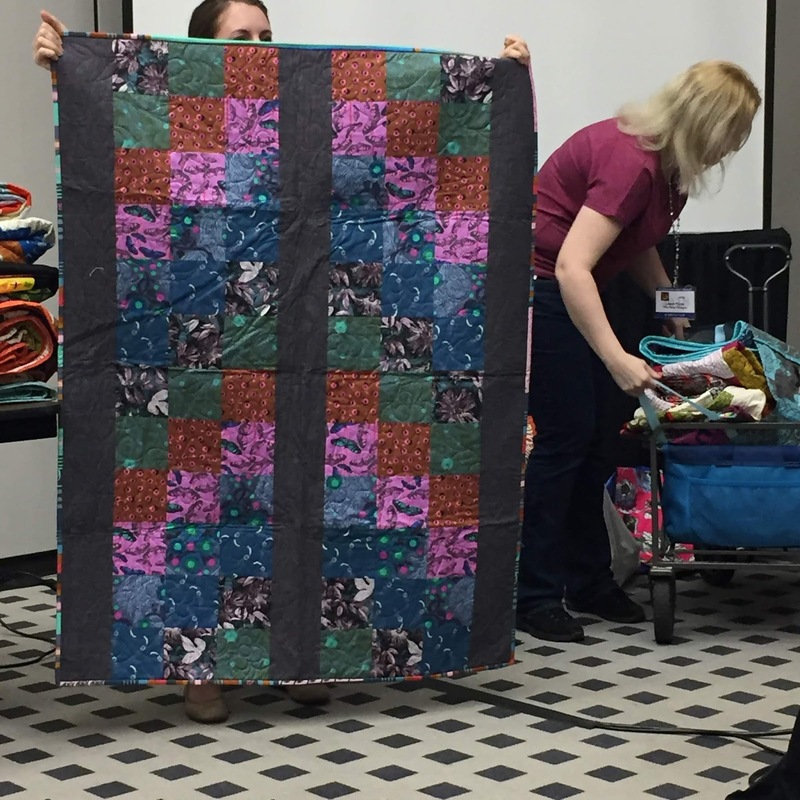 There's also some pretty sweet deals on fabric in their online store right now. 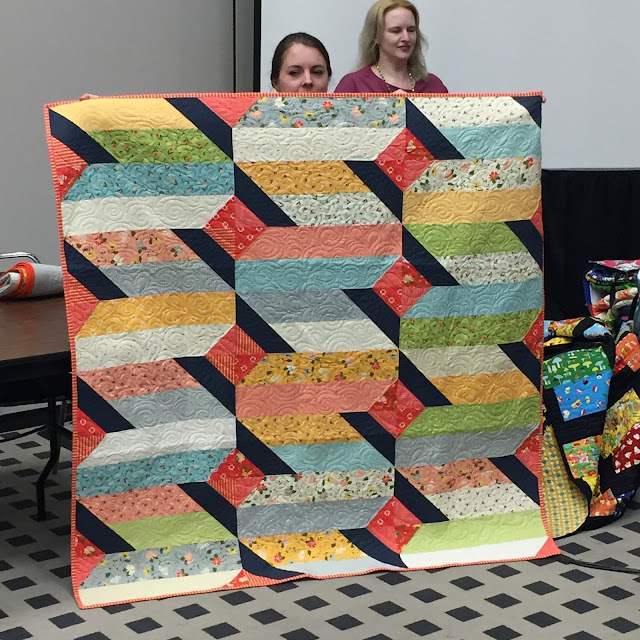 Molly, Heidi and Tamara Cook have joined the Villa Rosa Design team, and contribute patterns. Tricia Lynn Maloney, Kate Griffin, and Jesica Darling also have their designs included. The force is strong with this group. 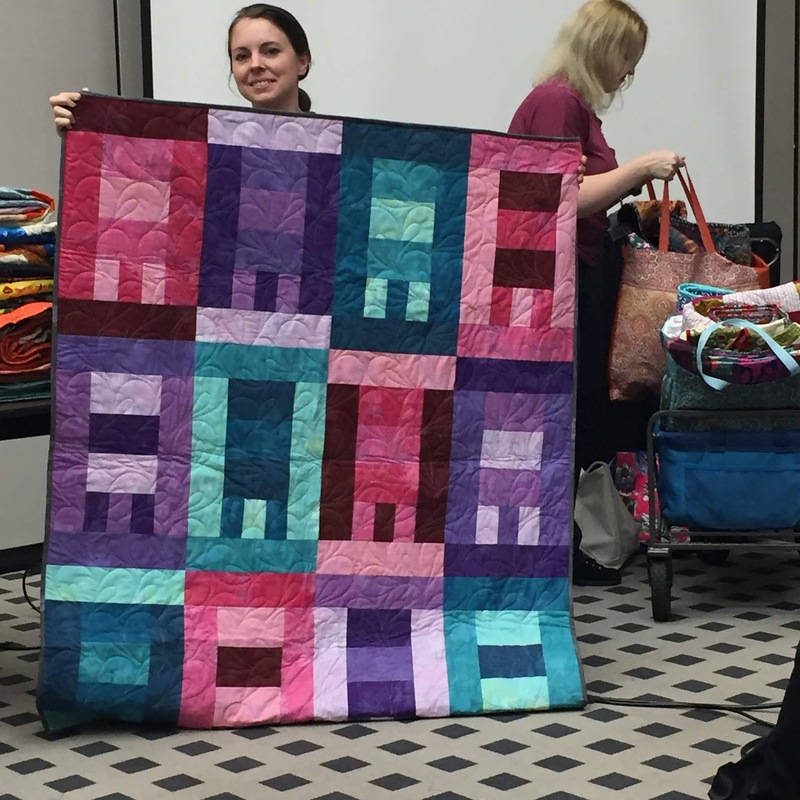 Sorry, I couldn't resist. 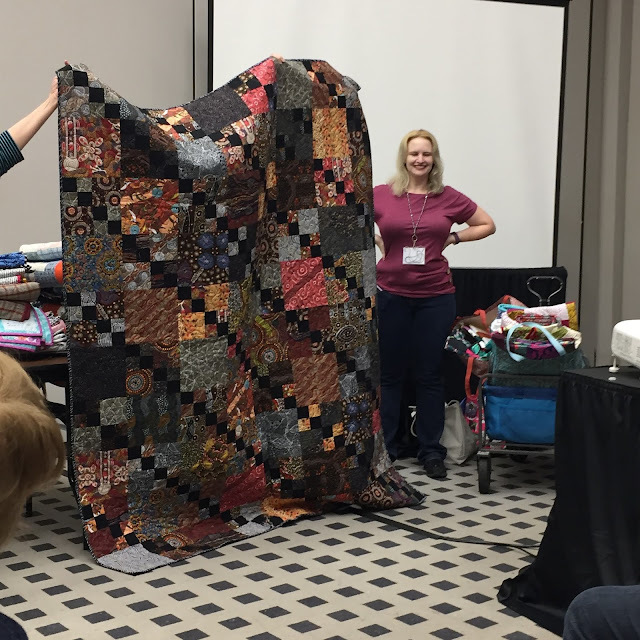 I'll get back to the serious business of showing you the quilts uninterrupted.